Smartphones, mobile phones with more advanced computing capabilities and connectivity than regular mobile phones, came onto the consumer market in the late 90s, but only gained mainstream popularity with the introduction of Apple’s iPhone in 2007. The iPhone revolutionized the industry by offering customer friendly features such as a touch screen interface and a virtual keyboard. The first smartphone running on Android was introduced to the consumer market in late 2008. The smartphone industry has been steadily developing and growing since then, both in market size, as well as in models and suppliers. Smartphone shipments worldwide are projected to add up to around 1.7 billion units in 2020. By 2021, 40 percent of the world’s population is projected to own a smartphone. About a quarter of all smartphone users in the world will be located in China by 2018, with more than 45 percent of the population in China projected to use a smartphone by then. In 2016 alone the smartphone market in China had a market size of more than 133.6 billion U.S. dollars. The main smartphone vendors in China - with a market share of more than 10 percent - are Huawei, Apple, Vivo and Oppo. 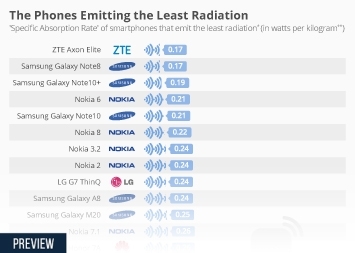 Until the first quarter of 2011, Nokia was the leading smartphone vendor worldwide with a 24 percent market share. Today, however, Samsung is clearly leading the pack, with about a fifth of global shipments. Apple is the second largest vendor of smartphones worldwide. In 2016 alone, Apple sold more than 210 million iPhones worldwide. Other prominent smartphone vendors include Huawei, Lenovo and Xiaomi. When it comes to smartphone operating systems, Android took over as a clear market leader as of the fourth quarter of 2010, and has only further increased its lead since. As of the fourth quarter of 2016, more than 80 percent of smartphones sold were running the Android operating system. Apple’s operating system iOS is its main competitor, accounting for about 15 percent of the share.